Purpose: Noninvasive image-guided breast brachytherapy delivers conformal HDR 192Ir brachytherapy treatments with the breast compressed, and treated in the cranial-caudal and medial-lateral directions. This technique subjects breast tissue to extreme deformations not observed for other disease sites. 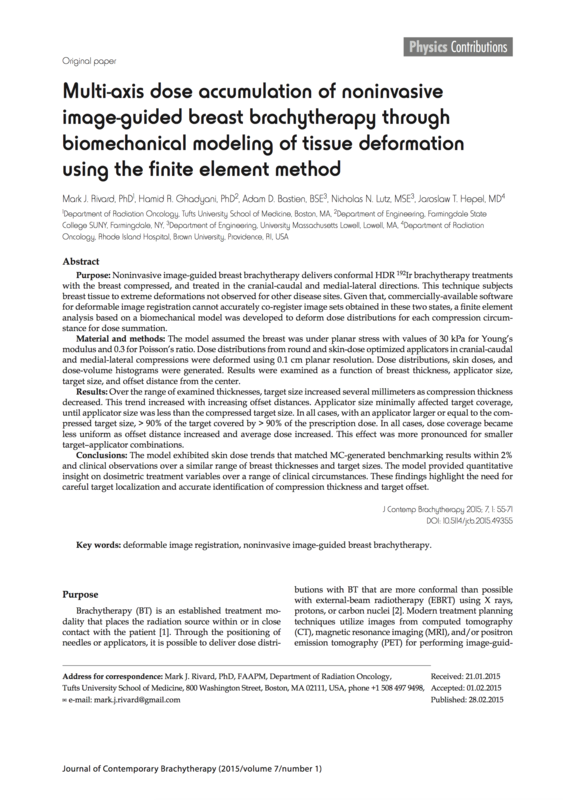 Given that, commercially-available software for deformable image registration cannot accurately co-register image sets obtained in these two states, a nite element analysis based on a biomechanical model was developed to deform dose distributions for each compression circumstance for dose summation.